The agent of Crystal Palace monitored striker David Okereke has confirmed that his client will leave Serie B outfit Spezia in the summer. Okereke was not the subject of active interest in the January transfer window, but a number of clubs have been keeping tabs on his performances in the Italian second tier. Crystal Palace and Standard Liege have been sending scouts to watch the Nigerian in action in the second tier of Italian football and are keenly following his exploits. And even Italian champions Juventus have been made aware of his development and are monitoring his progress at the moment. 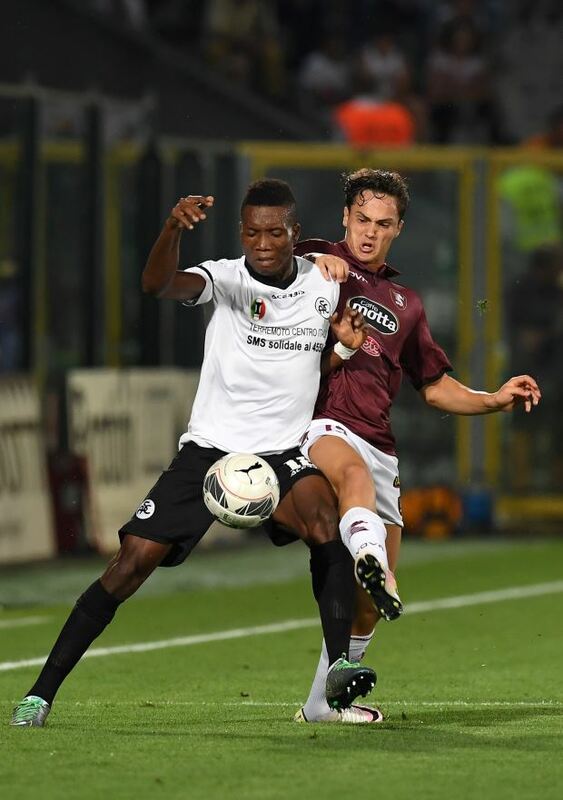 Patrick Bastianelli, his agent, has confirmed that several clubs in Europe are interested in his client and claimed that Okereke will leave Spezia next summer for greener pastures. “Top clubs in Italy and abroad are interested in him”, the striker’s agent told Sky Italia. Okereke, who has a contract until 2022 with Spezia, has scored six goals in 16 Serie B appearances this season.